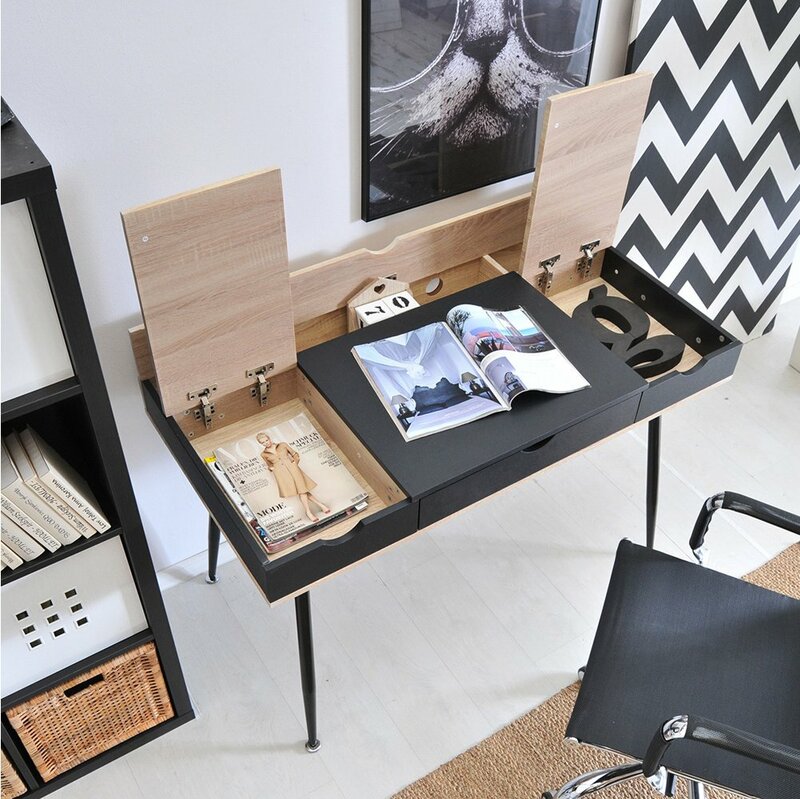 We present a solid desk with a light and fresh look. Delicate coloring of a simple shape combined with functionality and interesting design is the quintessence of the Scandinavian style. With three large storage compartments in the counter, you gain space to store the most-needed things that you want to have at hand. Cabinets in the countertop are an extremely necessary element during work and study, allowing you to keep the desk clean, and also allow quick access to the necessary things. 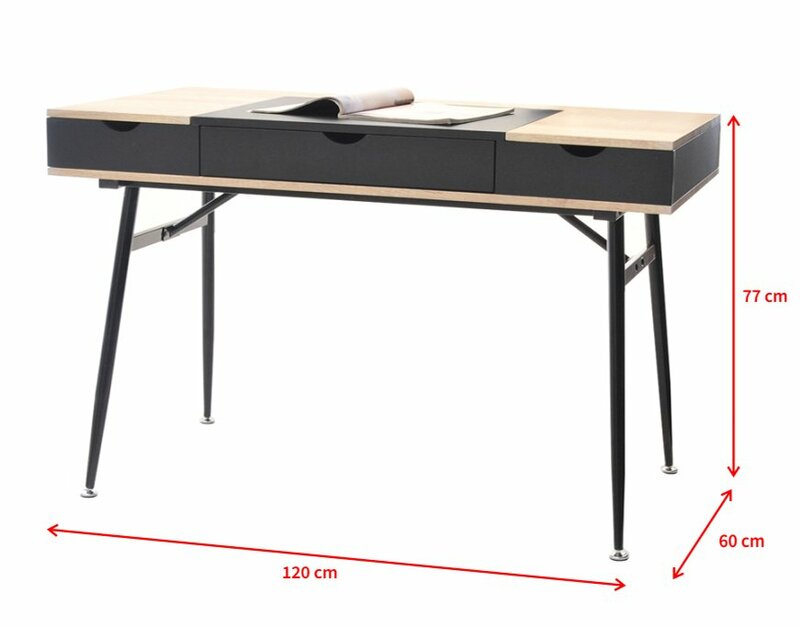 The legs of the desk are finished with steel feet, which allow for height adjustment and proper adjustment to the needs of a given user, thanks to which, along with the changing holder, the desk will adapt to the owner. 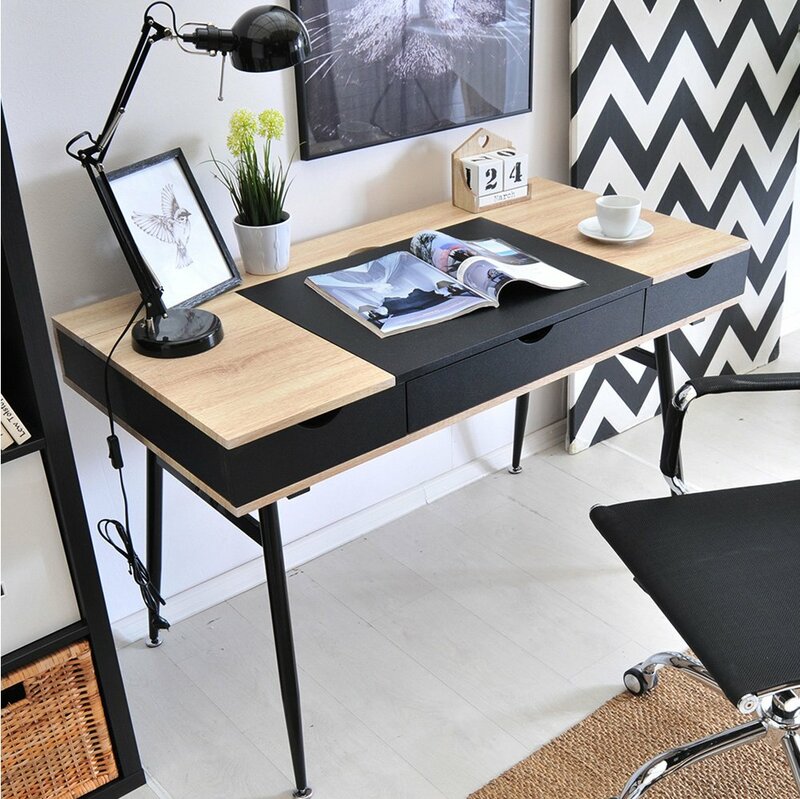 Made of MDF, covered with plastic foil is a solution that increases the durability of the desk. 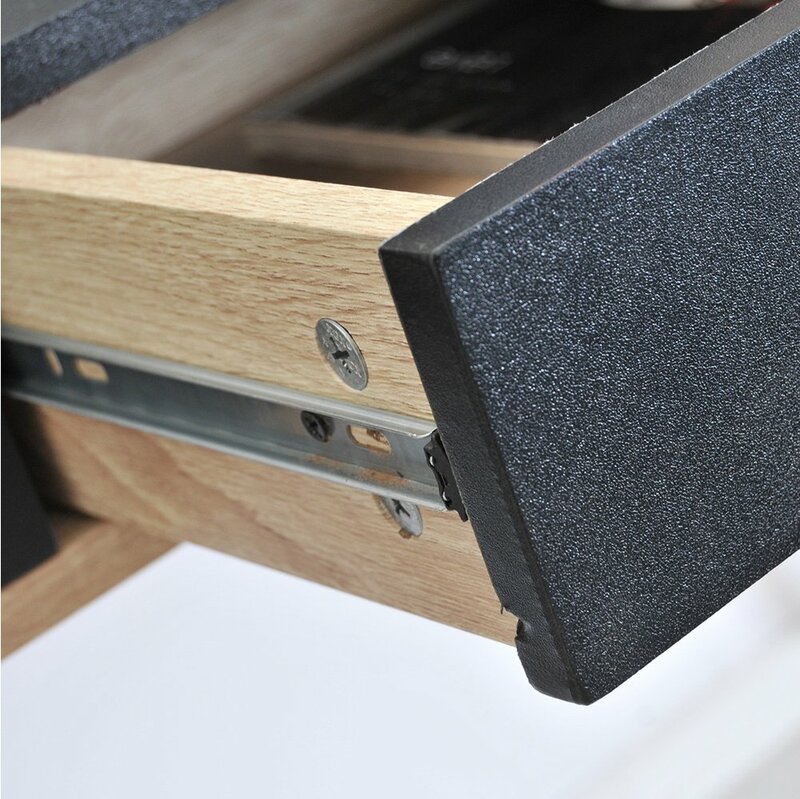 The MDF board is characterized by resistance to moisture and scratches, which will allow you to use the desk freely without worrying about its appearance after being inadvertently primed with a drink or water. 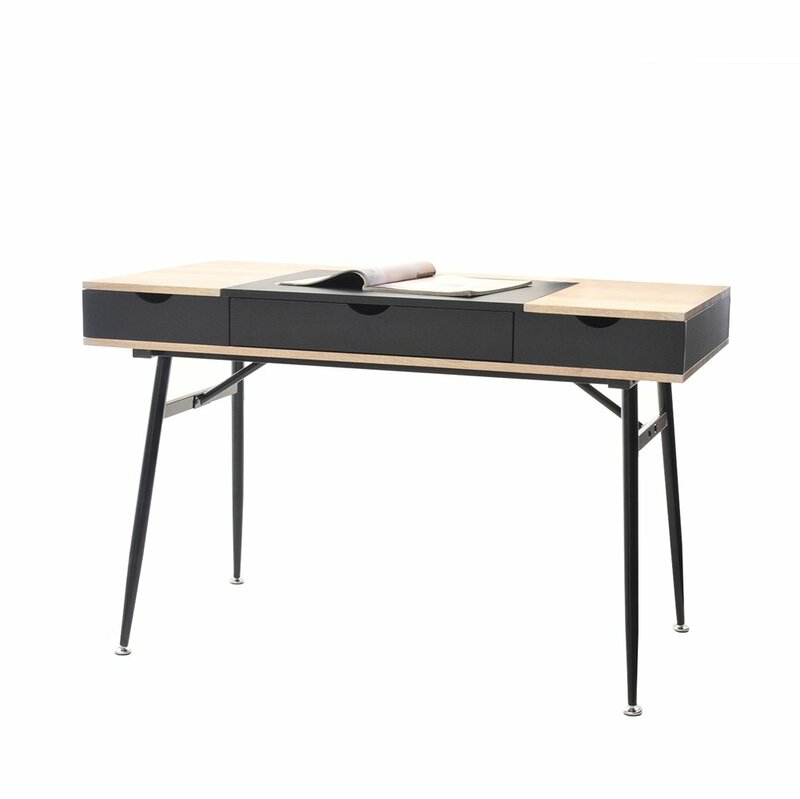 Thanks to the MDF design, the desk is easy to clean, so you do not have to spend eternity cleaning it.